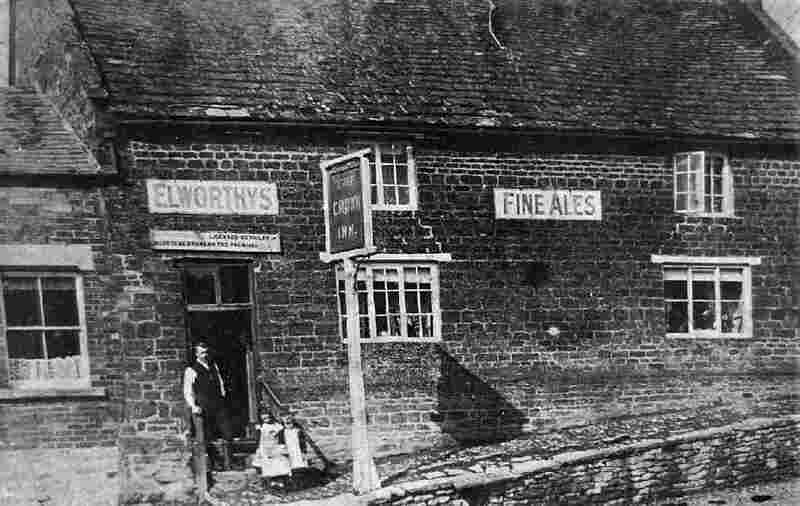 There was a pub called The Crown Inn in the village as far back as the 1870s, but it has possibly stood in two different locations. The first record I have of The Crown is the 1870s Kelly's Directory. 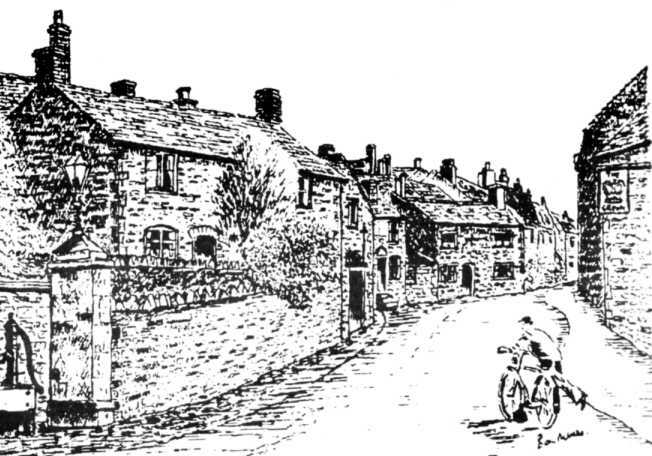 The drawing top left shows a pub called 'The Crown' on Corby Road, on the right hand side just up from the shop. Not sure of the date on this drawing, but it is definitely post 1850. There is no record of The Crown in the 1890s but, by 1901, The Crown was located on the corner of Rockingham Road and School Lane where it stood until it was closed and demolished in the 1960s. This Crown didn't have a spirits' license - and only sold beer. 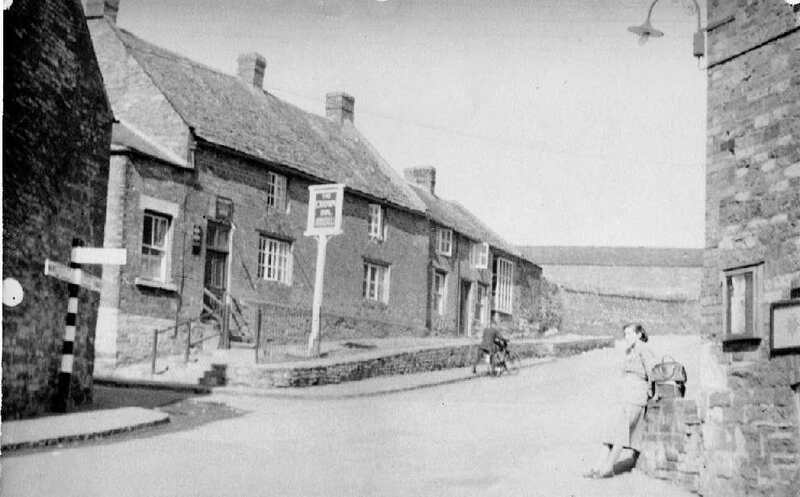 The photograph top right shows the Rockingham Road Crown (on the right in front of the pub sign), with the original Spread Eagle in the background. 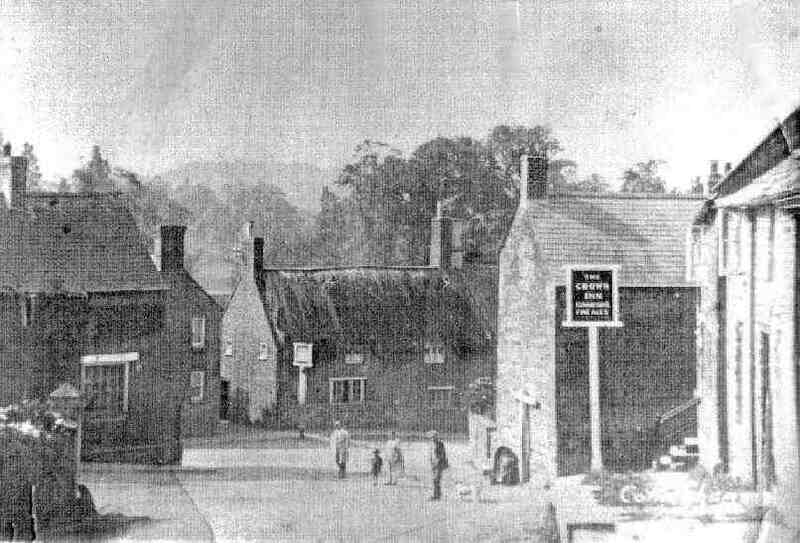 The building between the Spread Eagle and The Crown is the old manor house, which stood on the site of the Spread Eagle car park.